As with baby room our Toddlers have constant care to make them feel safe and secure. Although we do have a bit more structure this helps to encourage independence. 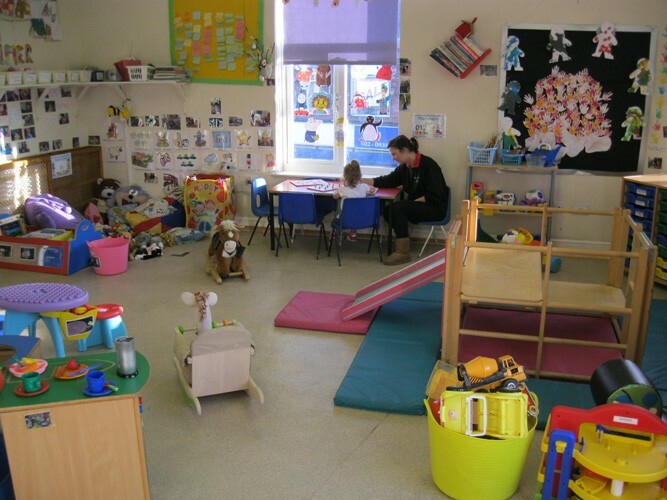 Our aim in Toddler room is to offer a relaxed, warm and friendly atmosphere where children can learn and develop to the best of their ability through play. 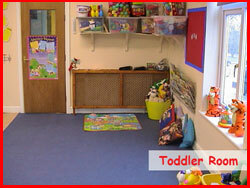 All Toddler room staff are qualified and experienced in working with children aged under 2. We also keep parents up dated with their child’s daily routine by having individual diaries. 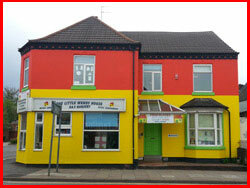 We pride ourselves on having friendly, relaxed and trusting relationships with parents. We do encourage potty training in Toddler room and always discuss with parents when they feel their child is ready to begin and we always work alongside parents. 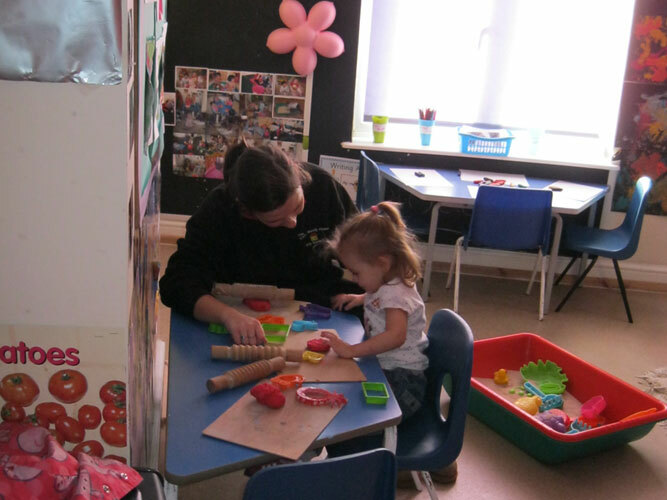 At The Little Wendy House we follow The Early Years Foundation Stage Framework and in Toddler room we have at least seven different activities out each day which covers all aspects of learning. 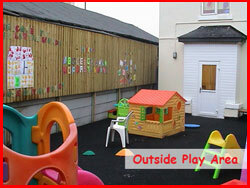 The children are also free to pick and choose which activity they would like to do. Some of the activities we do in Toddler room include Construction toys, role-play, small world, math, musical instruments, painting, sticking, sand, water and outdoor play. 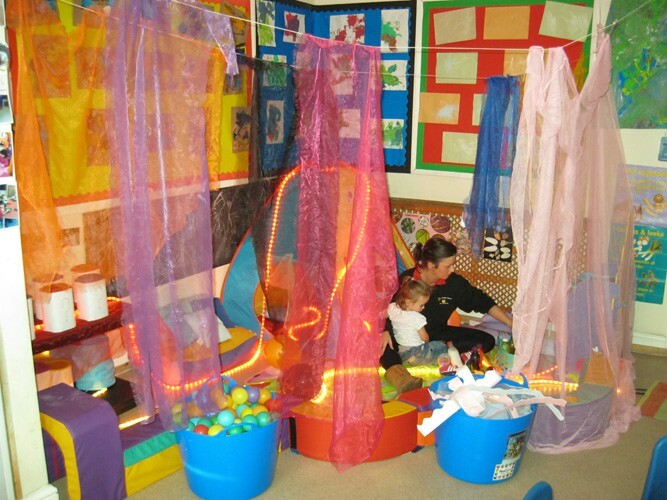 We also have our own indoor climbing frame with a slide which children can access all the time safely and a sensory area where children get lots of opportunities to feel, smell, hear and see a variety of different materials and objects to encourage them to use their senses to learn and develop.